Poppy seeds are tiny, edible, blue-grey (slate-blue) or ivory-coloured kidney shaped seeds from the dried pod (fruit) of the poppy plant (Papaverum somniferum) of the family Papaveraceae. The seeds are less than 1mm in length and have a pitted surface. There are about 3300 seeds in 1g (3oz) and 1-2 million seeds in 500g (1Ib). Although the poppy is the source of opium, the seeds lose their narcotic content as they ripen. Mature poppy seeds have a vey low level of opiates. Poppy seeds have been used for thousands of years in whole or ground form as an ingredient in savoury and sweet foods or as a filling in baked goods and pastries. The primary flavour compound is 2-Pentylfuran. The seeds are nutty with a crunch. 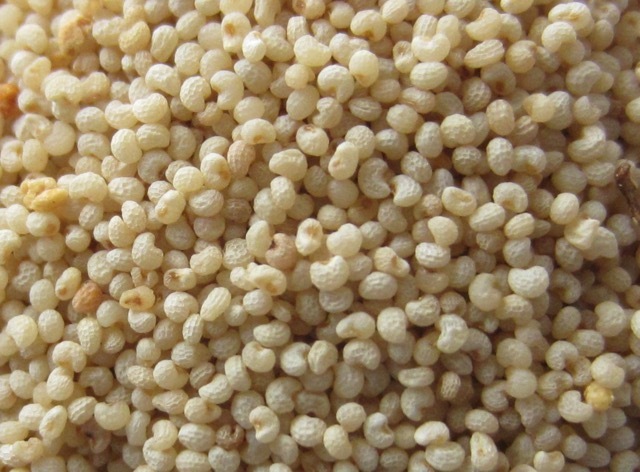 White poppy seeds are much sweeter. The black have a slight bitterness. Black Poppy seed are used as a topping, filling or for flavouring baked goods (loaves, pastries, cakes), desserts, biscuits and strudel . To make poppy seed fillings: finely ground poppy seeds are mixed with butter or milk or cream and used as a filling for bread and pastries. The filling can be flavoured with lemon or orange zest, rum, vanilla essence, raisins, cinnamon, almonds or walnuts. To grind the seeds they must be toasted or broiled, mixed with liquid such as water and ground in a pestle & mortar, coffee grinder or a special poppy seed grinder called Burr Grinder. 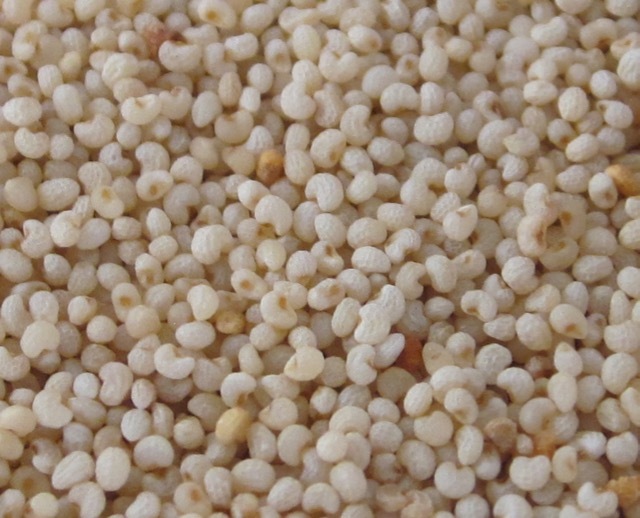 Poppy seeds are also used to make candy. The seeds are boiled with sugar or honey. Ready to use poppy seed filling is available commercially in cans . Common ingredients include: sugar, water, emulsifier (soy lecithin) and food preservative. Ready to use Solo Poppy Seed filling: is used for cakes, desserts and rolls and is made with the finest European poppy seeds. 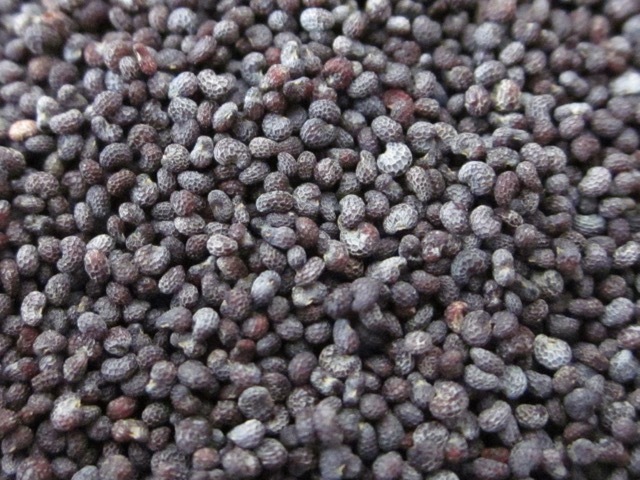 Poppy seeds can be adulterated with Amaranthus paniculatus seeds. Posted in Ingredients, What is? Never heard of black poppy seeds. We use ivory one in most of dishes. The black ones are used in baking, bagels, bread, cake. 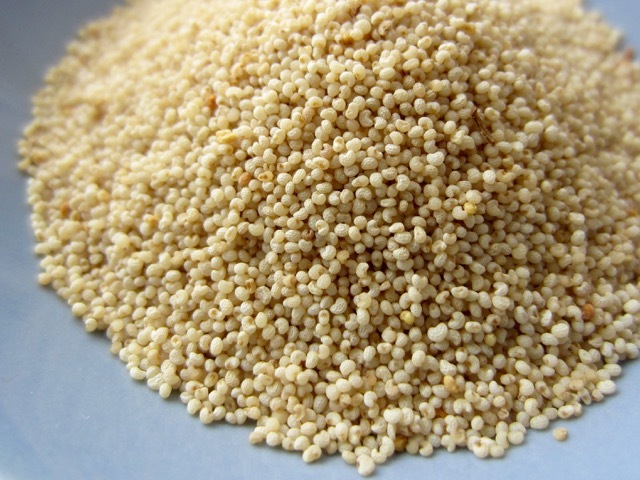 Are you confusing poppy seeds with sesame seeds? 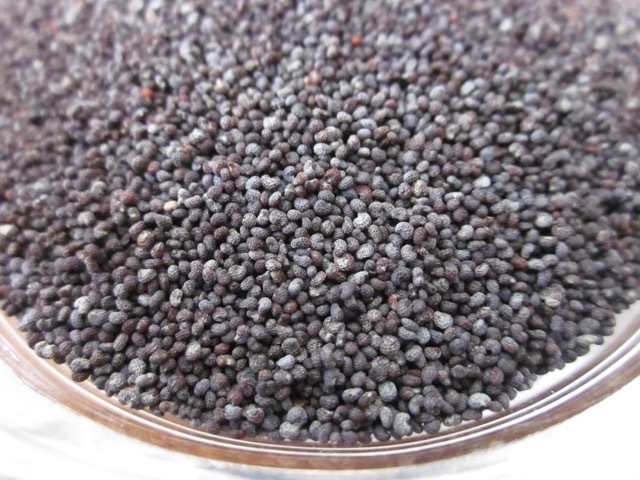 Black poppy seeds are used more than the white ones. Thanks. Have a great weekend! Thanks for this very helpful information. No problem. Have a nice day!